Lelo in Nopo: Who left the flan out? Who left the flan out? I think you should celebrate New Year's Eve with some flan. There. I said it. You should. Flan is a reason to celebrate and celebrations call for flan. Thus, we celebrated the Virgin of Guadalupe with some flan. And you know what? I had never made flan before in my life. Huzzuh! It does require a few steps of which you need to be comfortable in the kitchen with....like making caramel on the stovetop by swirling sugar and water. (I learned the hard way this summer on one of those pear tarts. Don't burn the caramel.) But once you have that down, you just coat the bottom of your custard dishes with the caramel, and pour in a good homemade custard, then bake in a water bath and voila, you've got flan. 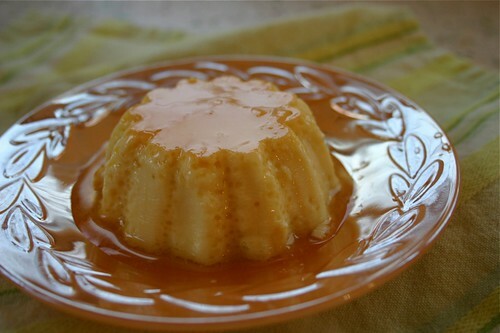 You can infuse flan with different flavors, like lemon verbena or cinnamon or whatever floats your boat. We grow lemon verbena in the garden and I'm always on the lookout for what to do with that fantastically pungent herb. 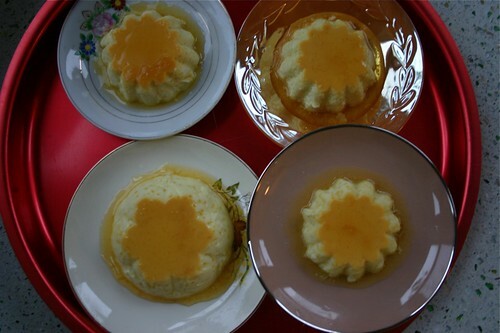 I actually have been collecting old Jello tin molds, and found they came in perfectly handy for making the flan. Each one had a little different shape, and I loved that I used my love of Jello in making this dish for the first time. Once again, I turned to Rick Bayless for the how-to on making this dish, and found his play-by-play to be really helpful. Have you bought this book yet? You should. And you should make flan for New Year's Eve. Flan for everyone! As delicious and yummy as these pictures look, I must say that it's not one of my top favorites...I think it's the egg thing. It has to be done very well, no wobbles, for me to like it. 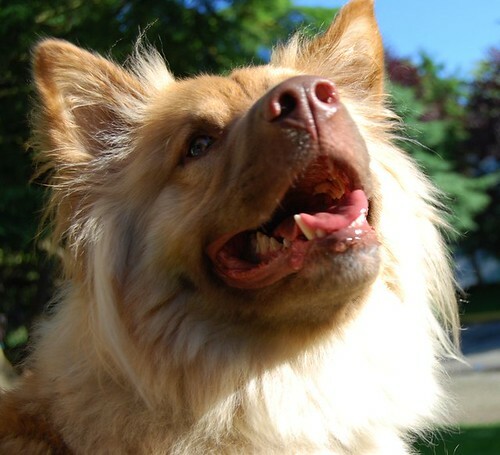 The photography is beautiful! I'll celebrate anything with Flan. Hell, I'll celebrate FLAN! Love it. Yum! Flan. There's a restaurant here in town that adds a bit of a peach puree on top of the caramel and then adds in the custard. Divine! My dear Puerto Ricano friend makes THE BEST FLAN in Chicago! She uses white bread, and cream cheese and some other secret ingredients! It's muy, muy, yummito!!!! Let me be counted as a fan of the flan! I'm usually sorely disappointed by the texture of Flan -- too jiggly and it just does not work for me. Although my mistake might be in ordering it at random restaurants when I see it on the menu. 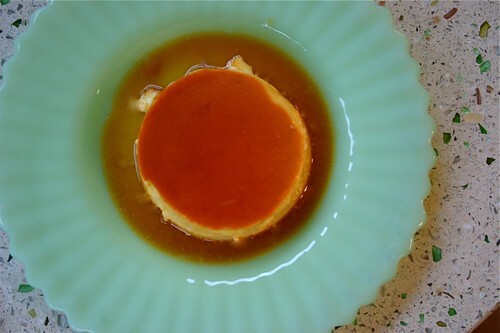 Perhaps I should make a new year's resolution this year after all: learn to make flan myself! Of course a musical says it best!